David joined Pinnacle Wealth Planning Services in the fall of 2013 to open our Florida office. 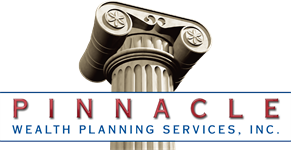 He services the accounts and portfolios of Pinnacle clients throughout the west coast and central area of Florida as well as developing the CPA and Attorney relationships in these areas. He also works closely with Pinnacle Fiduciary Consulting Group to provide investment advice and fee-only fiduciary services to retirement plans. David has worked in the industry since 1984 working with Fidelity Investments and T. Rowe Price in various leadership capacities in servicing retail and retirement plan clients, David has also provided consulting services for several large retirement plan providers. A 1983 graduate with a BA in Finance from Miami University, he is also a Certified Financial Planner™.